Hard to find the time to coach? Or is it difficult to know who to coach and how? Do you have to rely on a small group of top performers to reach revenue targets? With Membrain your team will be equipped with a complete sales effectiveness platform to either replace or enhance your existing CRM. Sales coaching is the leading driver in increasing sales effectiveness. Despite leading to a 19% performance increase most organizations still don't do it. With Membrain you can easily see who needs coaching about what and when. 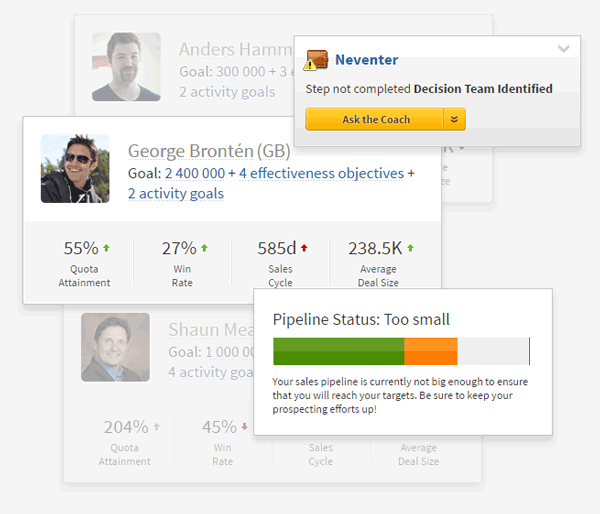 Get real-time guidance to build & maintain momentum and achieve your sales targets. Each opportunity is unique. Membrains dynamic sales process allows you to develop deal-level strategies to ensure deal momentum and increase win rates. Adapt as new circumstances arise and coach your team to become an agile powerhouse. 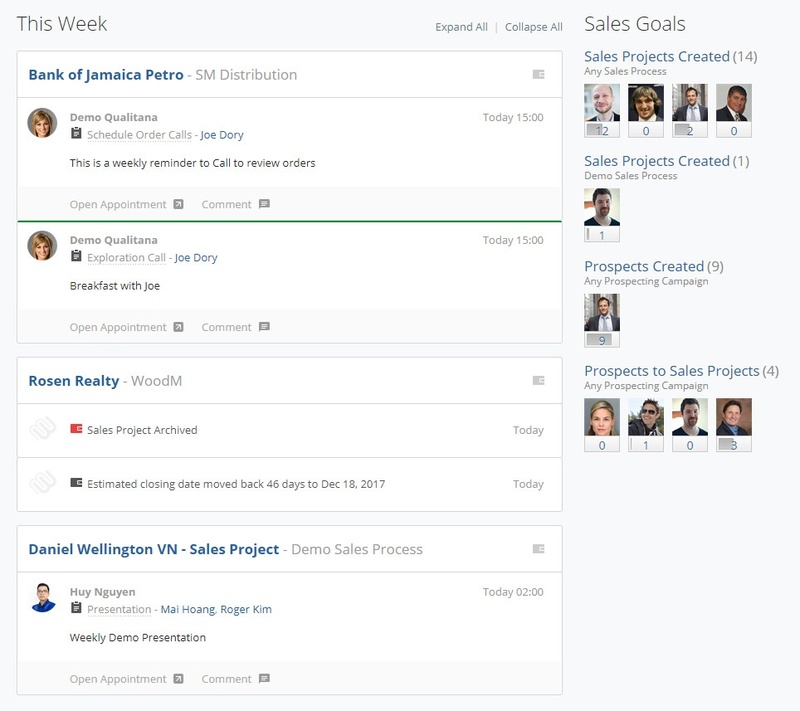 Integrated collaboration functionality makes it easy to get the information and support needed in each deal. 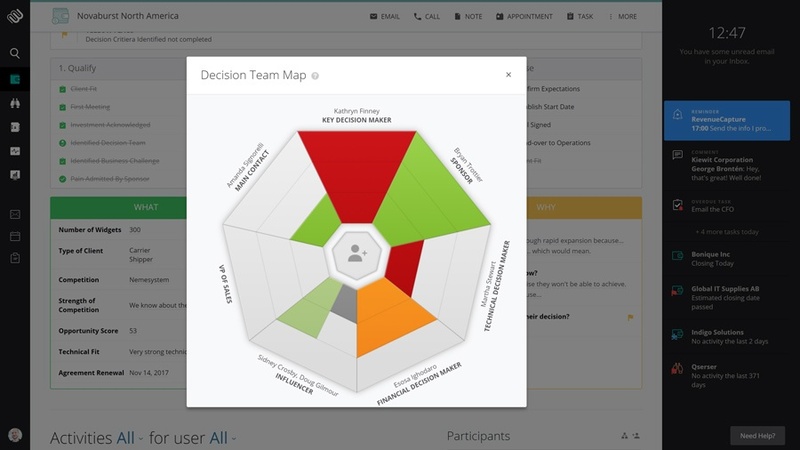 Eliminate the blind spots of a traditional CRM! What is your team working on? What is happening in your pipeline? Every sales project won, goal achieved, appointment created, document uploaded. Everything that happens is listed in real-time in the Story Stream. A great resource where you can see all the activity across the entire team. All filterable and searchable to help you easily find the information you need to engage with your team with helpful advice and coaching questions. Step on-board with our Clearpath Promise. Your path to a simple, predictable and successful implementation at a fixed price. What is the Clearpath Promise?